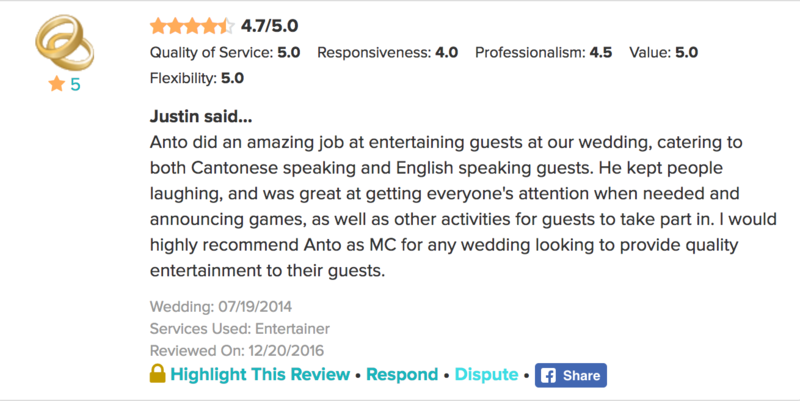 Anto is a wedding MC that brings high-energy entertainment to your special day! 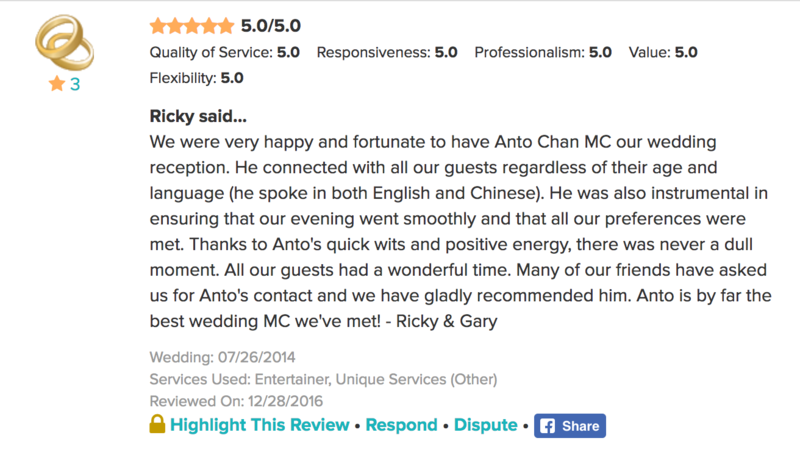 Anyone who has been to tedious wedding with long drawn-out speeches and unorganized receptions knows that a great MC can change everything. 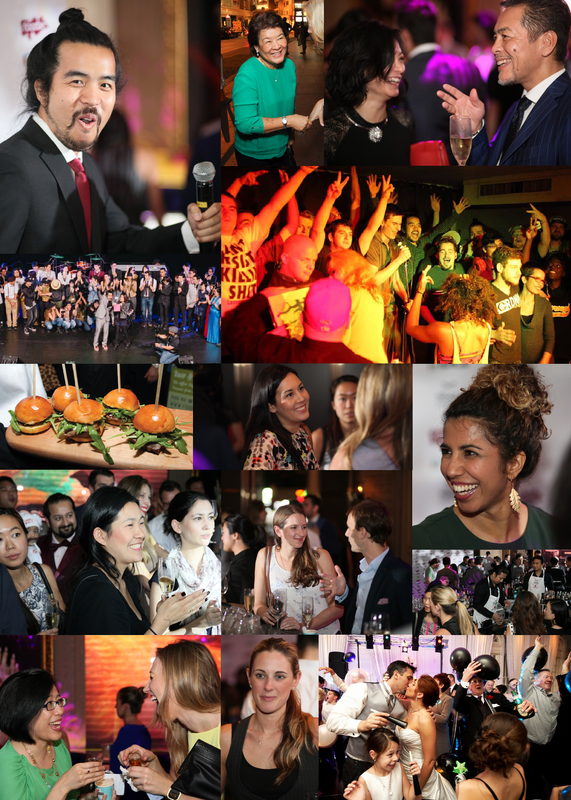 He focuses on putting together interactive, well-coordinated, delightful receptions that engage the audience, creating unforgettable moments! His background in stand-up comedy ensures that he keeps the audience entertained and laughing, while all your planned activities are flowing. He offers his services in 3 languages: English, French and Cantonese. 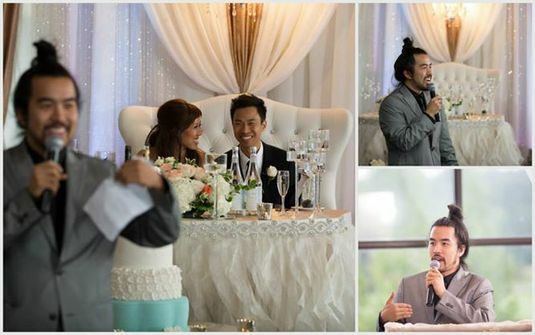 Creating customized wedding receptions that are personalized to your audience is his specialty! With only one chance to have an incredible wedding, Anto gives your special day an incredible boost of energy, laughter and meaning. Speaking a mix of English, French and Cantonese, he gives the elder generation a sense of tradition and the younger generation entertainment, with fun for everyone. He strives to bring out the best in all those involved including itinerary help, interactive games and beautiful speeches! 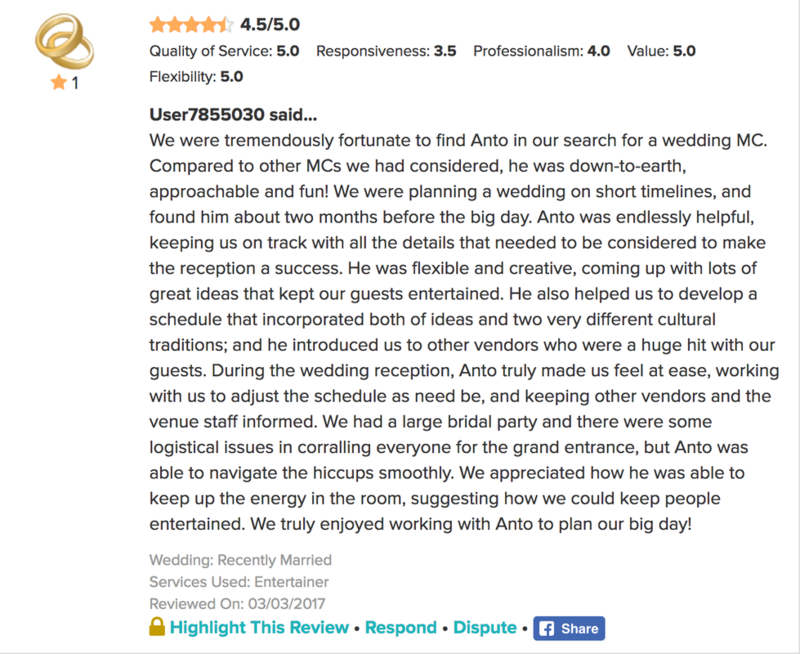 With years of performance experience, Anto is excited to bring his powerful brand of entertainment to every couples' big day!